Novus speed camera detector range explained, what happened? Novus first launched their speed camera detection range in 2007, since then Novus have had a total of four different detectors these included the Novus Piccolo, Delta, Rider and Alpha. Over the years that followed Novus camera locators proved a huge success with motorists and motoring journalists alike - repeatedly receiving the best buy award from Auto Express. Especially with their keenly priced and multi-awarding winning Novus GPS Rider model. In 2011, Novus was brought out by automotive supplier Daltec Al Ltd. By 2012, Daltec had decided to discontinue the complete Novus speed camera detector range. The Novus brand does still live on, but it is now being used by Daltec as the name for their in-car camera/driver recorder range. Below we look back at the Novus speed camera detector range with links to the reviews on SpeedCamerasUK.com when the popular range was available to buy. Over the years when the Novus range was current, here at SpeedCamerasUK.com we wrote several reviews for each of the different Novus devices that warned drivers to UK speed camera locations. Looking to buy a speed trap locator from the latest range? Click here to compare the models. Novus Piccolo model was and still is the smallest ever GPS speed camera detector in the UK. The device was designed to sit on top of your dashboard and when in range of a speed camera, it would give both spoken voice alerts and visual alerts counting down to the cameras location. To read the Novus Piccolo review click here. Novus Delta was the first device Novus released and was really a rebranding/renaming of the Talex Lite speed camera detector. Featuring a LED screen the Delta provided a continual speed read out, until it came into proximity of a speed camera location. At which point the dash/magnetic device came to life advising of the camera location via both on-screen and spoken voice alerts. To read the Novus Delta review click here. 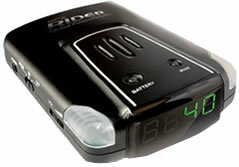 Novus Rider or GPS Rider was Novus's most successful and best selling detector ever. From it's release in 2008 it took the Auto Express Best Buy award for 3 or 4 consecutive years. Like the Delta (above) the Rider provided the driver with continual speed read out and then alerts to speed camera locations. To read the Novus Rider review click here. Novus Alpha was first branded the Talex Elite and the two models didn't differ in anyway except for the name. Featuring a OLED screen with useful information to the driver about a speed camera location, the Novus Alpha was Novus's top of the range detector. The system included a remote control operation and could be programmed with different vehicles and their speed e.g. car or HGV. To read the Novus Alpha review click here. ‣Mobile speed camera locations as included within the downloadable speed camera database.